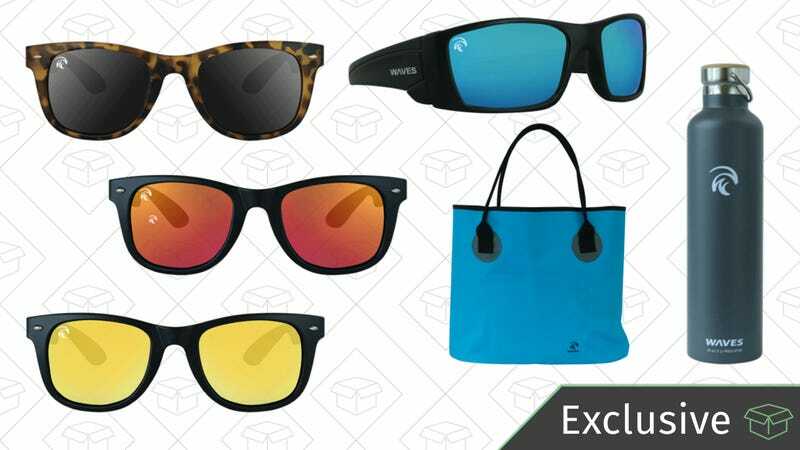 Sunglasses that you can’t lose in the water, but also look good, are oddly hard to come by. But WavesGear makes classic shades in bright colors that will look good anywhere there’s water (and anywhere there isn’t). Use the code KINJA60 and take 60% off a ton of sunglasses (down to just $16 a pair), dry gear, and water bottles, to make your next seafaring adventure a better three hour tour than you expected.